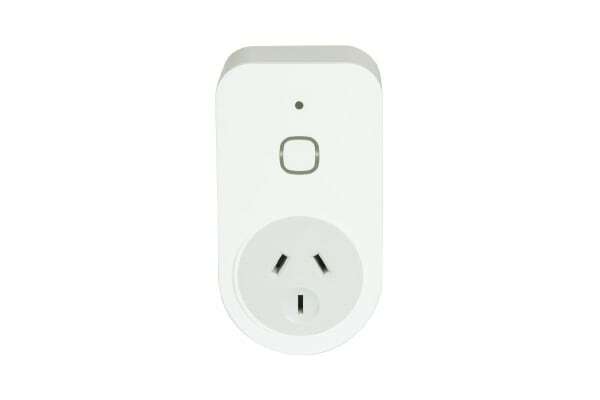 Control your favorite household gadgets and monitor energy use with this innovative smart plug – even when you’re away! Don’t bin your old devices in a quest for a smarter home. 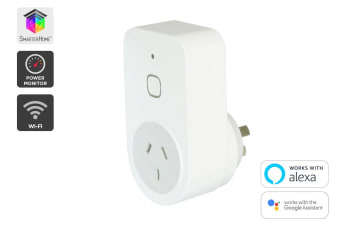 The Kogan SmarterHome™ Smart Plug with Energy Meter works with your favourite household devices to help make your life easier, save time, conserve energy and give you added peace of mind. This smart plug allows you to remotely manage your favourite devices and schedule them to suit your lifestyle, even if you’re not at home. You can automate them to turn on at certain times, turn off while you’re at work and run for a specified period, whether that’s five minutes or five hours! For safety reasons, we recommend exercising caution and limiting the amount of time your heater or any electrical device in your home is left switched on and unattended. 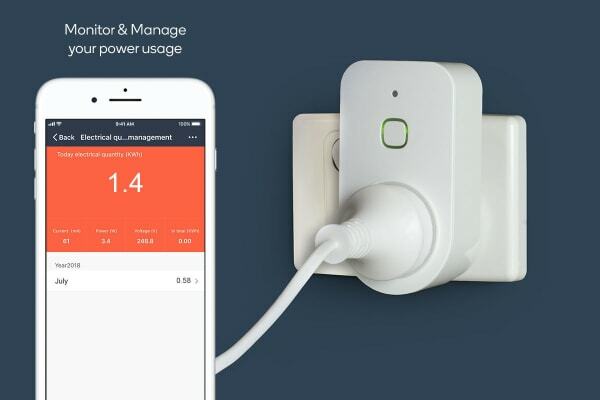 With the Kogan SmarterHome™ Smart Plug, you can check just how much power your favourite devices are really using. Want to know how much energy your heater is consuming? Once plugged in, the app will clearly display just how much of a drain your heater is on your electricity bill. Set up a schedule or timer on the SmarterHome™ app to minimise energy consumption (and save precious $$$) when you’re not home. Forget to turn something off before you left? Simply check on the app and switch it off from wherever you are. When plugged into a wall socket and connected to your existing home Wi-Fi, you can control the devices that you love from anywhere, anytime, using the free Kogan SmarterHome app. Say goodbye to app clutter. With just this app, you can manage your favourite smart devices and use your favourite smart assistants, including Amazon Alexa or Google Assistant. Using the Kogan SmarterHome™ app, monitor how much power your smart devices are utilising, and remotely turn them on and off from anywhere in the world. Terrific am turning on lights etc from 400 km away... love it.